Introducing 'The Talmud Project' - Delve into the text. Explore the commentaries. Challenge your mind. Discover how Talmudic teachings have practical relevance in your life today. This brand new four-part Talmud series will present a Talmudic perspective on principles related to inheritance, including the rights of the firstborn, and the types of properties eligible to be passed on to children – as discussed in the eighth chapter of tractate Bava Batra. This Talmud course is an in-depth analysis of the various methods of acquisition used for real estate property – as discussed in the third chapter of tractate Bava Batra. This Talmud course is an in-depth analysis of 'Migo', a Talmudic principle often used by the court to give claimant the right to validate a claim – as discussed in the third chapter of tractate Bava Batra. 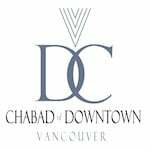 With the Vancouver real estate market making headlines, this new three-part Talmud series will present a Talmudic perspective on real estate, ownership, trust and proof – as discussed in the third chapter of tractate Bava Batra. This three-part Talmud series will be exploring the second chapter of tractate Shabbat, analyzing various aspects of the Chanukah lights: “What, How and Where?” and the logic behind it. Just in time for Chanukah! This three-part Talmud series will be exploring the second chapter of tractate Shabbat, analyzing the nature of the miracle of the “jug of oil” and the Talmudic debate on the precise amount of candles required to be lit each of the eight days of Chanukah. his three-part Talmud series will be exploring and analyzing the eighth chapter of tractate Yoma, focusing on the principles of ‘chatzi-shiur’ (half measure) – namely, the halachic status of prohibitions performed with less than the quantity normally required by law. A fascinating debate originating from the Talmudic discussion on Yom Kippur. This five-part Talmud series will be exploring and analyzing the seventh chapter of tractate Bava Kama, which focuses on the principles related to theft and robbery, and the logic behind the various levels of penalties. You be the Judge! This four-part Talmud series will be exploring and analyzing the second chapter of tractate Beitzah and the third chapter of tractate Pesachim, focusing on the mechanism of the ‘Eruv Tavshilin’—a Rabbinic legal device allowing one to cook on the Holiday for the upcoming Shabbat. This three-part Talmud series will be exploring and analyzing the sixteenth chapter of tractate Shabbat, focusing on principles related to bread, including the origins of the Challah and the mitzvah of the ‘Two Loaves of Bread’ on Shabbat. Who knew how much wisdom there is behind the Shabbat Challah?